The GoPro cameras have become synonymous with adventure and capturing the experience of life. These extreme action video cameras are known for being lightweight, rugged, wearable or mountable in unusual places such as outside planes, cars, or boats. Capture and share your life’s most meaningful experiences with the GoPro HERO3+. The latest version is smaller and lighter than its best-selling predecessor. The GoPro delivers improved image quality and is also geared towards versatility and convenience. 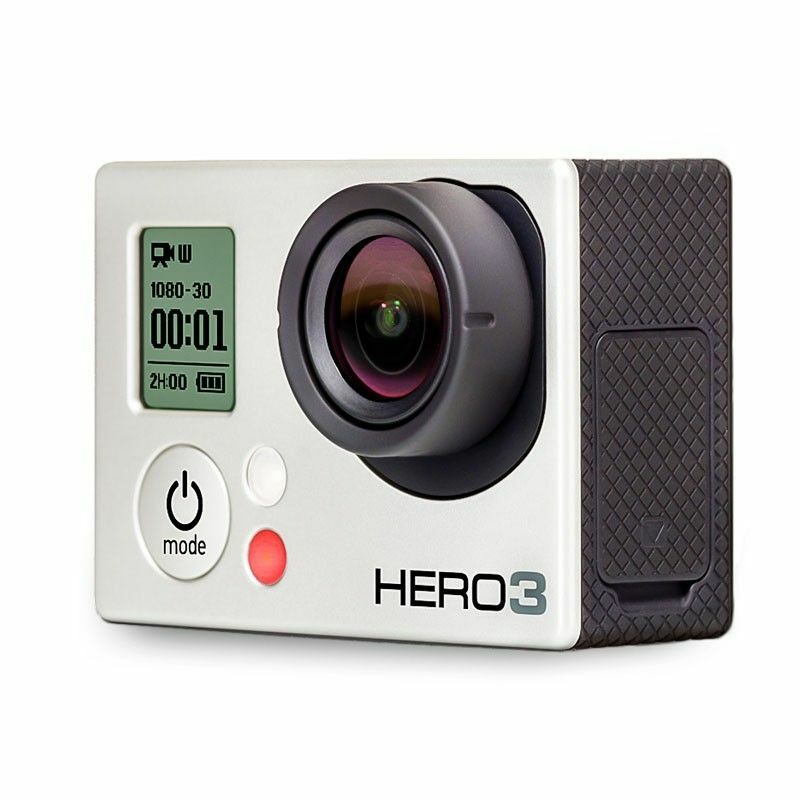 In October 2013, GoPro released the HERO3+, available in Black Edition and Silver Edition, which replaced their respective Hero3 generation predecessors. 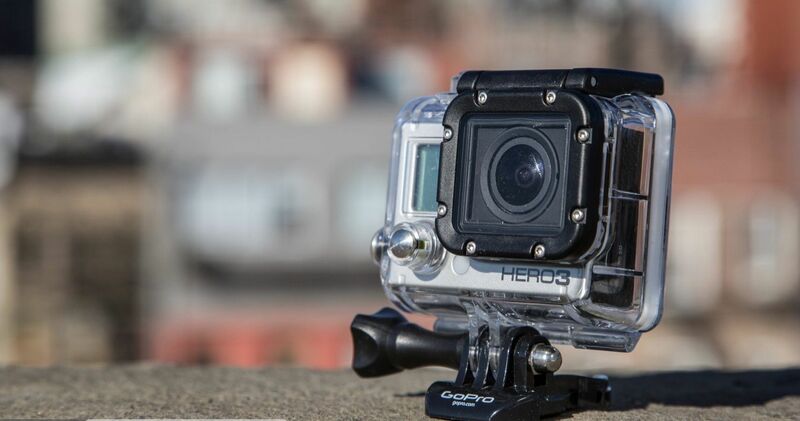 The Hero3 White Edition still remained as the actual model in the low-end GoPro’s device segment. Both Hero3+ camera models have “dramatically improved” low light performance, and a new waterproof enclosure which is lighter and smaller than the HERO3 (20% and 15% respectively, according to the GoPro website – the Hero3+ camera itself is identical in size to Hero3) and are also claimed to have improvements in image sharpness (close focus down to 7″ vs about 3 ft on the Hero3, at the expense of distant focus which is slightly less sharp with Hero3+), and better audio functionality to include wind noise rejection. Battery runtime improvement is claimed to be 30% compared to the respective Hero3 model (both through better efficiency and a higher capacity battery in the same size). Alternatively, export sets are available on Lazada. Generally cheaper, and you can further discount it with Lazada coupons. The GoPro Hero 4 Silver was selling at $487 on Lazada. Go Pro Hero 4 Silver vs Black is a common question, in fact, there’s a lot of overlap between the two models, but there are also key differences. The GoPro Hero 4 Silver is the first GoPro to come with a built-in touch display LCD screen. Like most cameras that have an LCD screen on the back, it gives you a live view of what the camera sees as well as provides touch controls for controlling the camera’s menu items. It is something that most people are familiar with. The downside of an LCD screen is that it drains the battery more quickly. But you can turn off the LCD screen when shooting. Just don’t spend too much watching or reviewing your captures. The Black, on the other hand, doesn’t come with a built-in LCD screen. It is a more traditional Go Pro styling. Just point and pray. It usually works well because of the wide angle lens. However, if you want to compose the shot, you can still do it on the Black with the accompanied mobile app. Both cameras have impressive video modes. You can shoot full HD on both, slow motion on both, and all the way up to 4K on both. But the Black can do higher quality video at the top end. Because it can record video at 60Mb/s, compared to an upper limit of 45Mb/s with the Silver, the Black allows for recording 4K video at 30fps (compared to 15fps on the Silver) and 1080p at up to 120fps (compared to 60fps on the Silver). It’s also important to note that these high-end video modes are demanding on memory cards. Only a handful of cards are fast enough to keep up. The Black Edition has video modes of 1440p48, 1080p60, 960p100 and 720p120 as well as 4Kp15 and 2.7Kp30 and can shoot 12MP stills at up to 30 frames per second. Along with the increased resolution, the HERO3+ Black Edition also features a function in firmware (called “SuperView”) which additionally increases the field of view, and its activation is optional. It has additional “enterprise” functions, such as dynamic low light situation adjustment, professional recording modes (higher bitrates, no white balance applied, etc.) etc. The Black Edition continues to include a Wifi Remote. The Black Edition does not have the ability to record 25/30 FPS in 720p and WVGA modes (it can only record at very fast framerates in those lower resolutions). This is a deliberate firmware limitation, as the manufacturer does not expect this high-end product to be used for recording in such “low” resolutions with so “low” framerates. The battery runtime of Hero3+ Black Edition, although significantly longer than Hero3 Black Edition, is still around 30-50% lower than the battery runtime of Hero2 and Hero1, which are two and three generations older, respectively. The Silver Edition, is the cheaper and lower end model, which has video modes of 1080p60 and 720p120 and can shoot 10MP stills at up to 10 frames per second. Contrary to the Black Edition, the Silver Edition can record at 25/30 FPS (or higher) in all supported resolutions. Hero3+ Silver Edition also has about 25%-50% longer battery runtime during recording than Hero3+ Black Edition (they both use the same batteries). The difference in runtime depends on the resolution/FPS combination, and whether WiFi and GoPro mobile application are used during recording. The difference in runtime increases as the FPS is lowered and the additional functions are deactivated on both cameras. The battery runtime of Hero3+ Silver Edition is similar to the battery runtime of Hero2 and Hero1. I am from Kansas Trading Dubai. Kansas Trading is the Middle East’s leading source of security and surveillance products. In addition to being top tier suppliers for Panasonic, Thuraya, Samsung and Garmin we have also pioneered our own brand of leading edge security equipment – Prolynx. With over a thousand loyal customers from 24 countries, Kansas offers bespoke solutions that are tailor made to each client. Go Pro Hero 4 Silver 100 Pieces. I am not a distributor for Go Pro. Just sharing the available locations instead. Thanks for the article. It’s very useful. I’m thinking to buy Go Pro Hero 4 Black and notice that the price is cheaper at Lazada than the official website. You mentioned that the ones Lazada is selling are export sets, I’m just wondering what’s the difference between export sets and normal ones? Is the quality different? The price difference is like S$150 so I’m a bit concerned about the quality of the product.